Here is the CAD for InMoov's Forearm (right). It includes a much better hierarchy than the previous PDF I've made and it's also much faster to display and to interact with ! 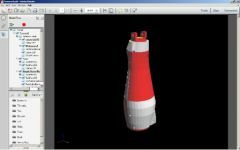 This 3D PDF is based on one of my SketchUp files. It seems that your browser isn't compatible. The PDF cannot be displayed. Use the "Model tree" to hide some parts if you want to see the inside.